Uninstalling apps from your iPhone is a part of life for almost every iPhone owner. It’s fun to download and try out free apps, but not every app that you download is one that you need to keep forever. So when it comes time to free up some space for new music, movies, or just more apps, then you may start wondering how to uninstall apps from your iOS 9 device. Fortunately removing apps from an iPhone is something that you can accomplish with the short steps in our guide below. 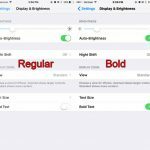 The steps in this article were performed on an iPhone 6 Plus, in iOS 9.1. However, these same steps will work for most other iPhone models, running most other versions of iOS. 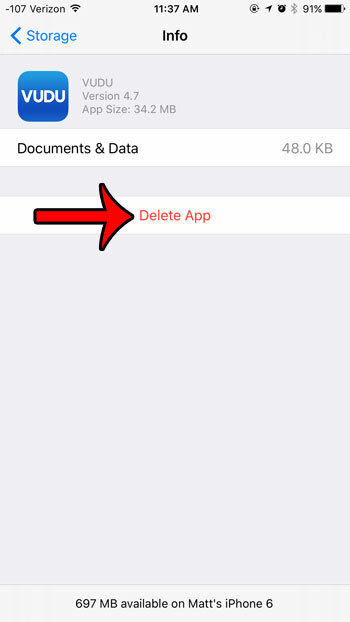 There are two different ways to delete an app from your iPhone. The first method that we will describe is outlined in the guide below. 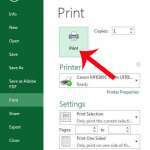 The second method takes longer, but is included as an alternative in case you have trouble using the first method. That second method is described at the end of this article. Some of the apps on your iPhone cannot be deleted. These are the default apps from Apple that are included on the device. It is possible to hide some of the apps that you cannot delete, however. 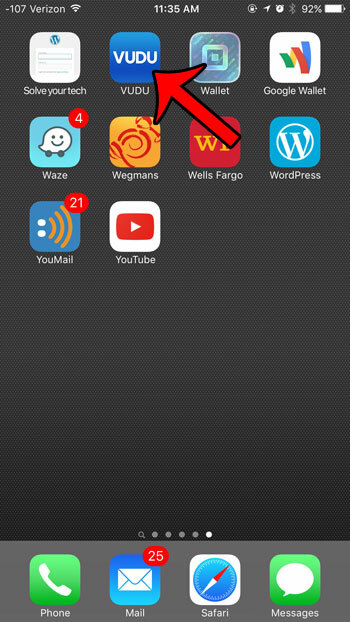 Locate the app that you want to uninstall. 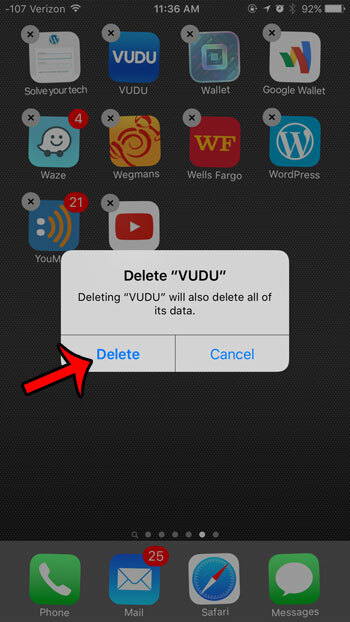 We will be removing the Vudu app in the steps below. Tap and hold the app icon until all of the apps on the screen start to shake, and a small x appears at the corner of the app icon. Tap the x on the icon of the app that you want to remove. Tap the Delete button to confirm that you want to remove the app from your iPhone. This will delete data for the app as well. 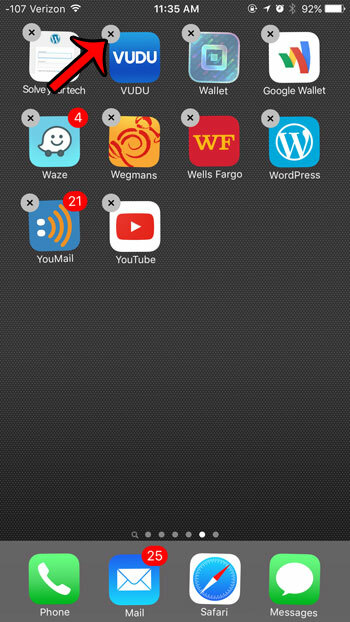 As mentioned previously, there is another way to uninstall an app from your iPhone. Go to Settings > General > Storage & iCloud Usage > Manage Storage (the top one), then select the app you wish to delete, and tap the Delete App button. You will then need to confirm that you want to delete the app. Both of these methods achieve the same result, but the first method in this article is a little faster. 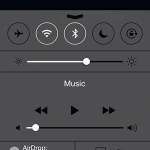 Is there a Tips app on your iPhone that you can’t remove? You may not be able to uninstall it, but there are a few options available to you that will make it less prominent.